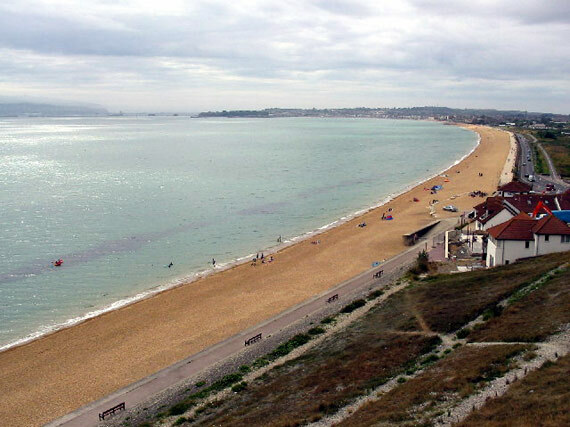 An artificial reef used as a lobster nursery is due to be laid in Weymouth Bay off Dorset. Several years in the making, the new undersea structure will be formed from 1,500 tonnes of local Portland stone, spread out in a 200-metre wide circle. The baby lobsters have been bred in tanks in Padstow, Cornwall. Within four years, a second larger ring of stone will also be laid, spreading the footprint of the reef. Lobsters take six years to reach maturity. As the lobsters grow and become more resistant to predators, they will naturally venture further out from the protection of the inner reef. The lobster reef is one of several notable developments set for Weymouth this year. Unless you’ve been living on Mars you’ll know that 2012 is, of course, an Olympic year. Weymouth and Portland are busily preparing to host the sailing events. As a side note, a group of locals is keen to sink a warship as an artificial reef in the Weymouth area, a project called Wreck2Reef. Using the Scylla sunk off Plymouth as a model, the potential revenue-raising project has the support of Oliver Letwin, MP for West Dorset. So far efforts to secure a vessel from the Royal Navy have come to nothing, but there are hopes one could be find in time for the Olympics in July. And there are even calls to sink a ship in a lavish public spectacle as part of the Olympic ceremony.